1962: " Twist & Shout"
1966: " This Old Heart of Mine"
1966: " I Guess I'll Always Love You"
1967: " Behind a Painted Smile"
1969: " Put Yourself in My Place"
1969: " It's Your Thing"
1969: " I Turned You On"
1971: " Love the One You're With"
1972: " Pop That Thang"
1973: " What It Comes Down To"
1975: " Fight the Power"
1975: " For the Love of You"
1976: " Harvest for the World"
1977: " Livin' in the Life"
1978: " Take Me to the Next Phase"
1979: " I Wanna Be With You"
1980: " Don't Say Goodnight"
The Isley Brothers are a Grammy-winning American R&B/soul group who are one of the few groups to have long-running success on the Billboard charts placing a charted single in every decade since 1959 and as of 2006 was still charting successful albums performing under a repertoire of doo-wop,R&B, rock 'n' roll, soul,funk, urban adult contemporary and hip-hop soul in the last six decades with a variation of lineups ranging from a quartet to a trio to a sextet to finally a duo. 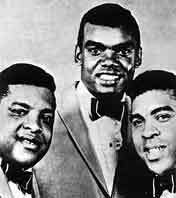 Originally raised in Cincinnati, Ohio, the original group consisted of the four elder sons of O'Kelly Isley, Sr. and Sally Mae Isley: Kelly, Rudy,Ronnie and Vernon Isley originally singing nothing but gospel music starting in 1954. 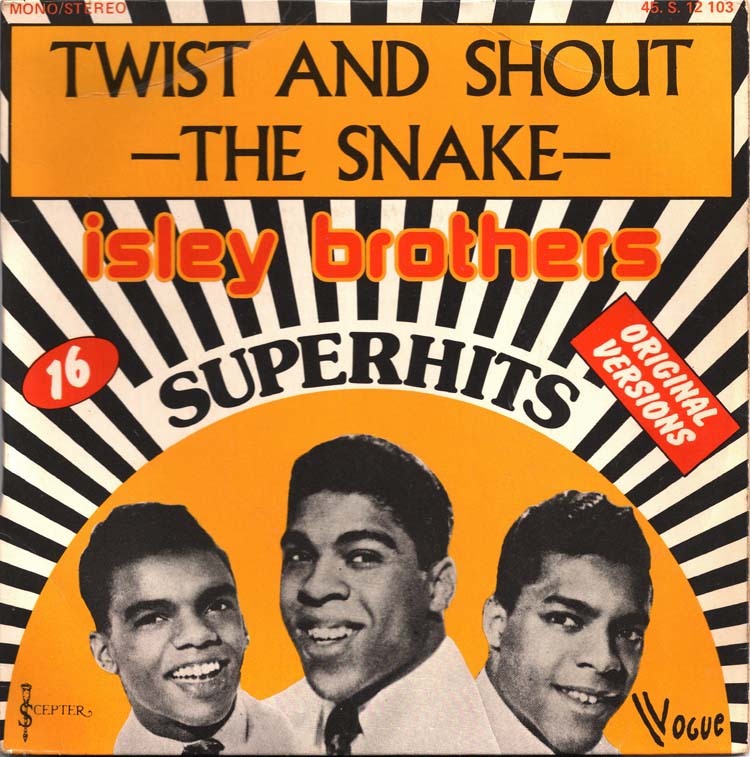 The group disbanded in 1955 shortly after a road accident claimed the life of Vernon Isley and reformed in 1957 with Kelly, Rudy and Ronnie, who recorded with small labels singing doo-wop and rock 'n' roll. After modest success with singles such as "Shout"Twist and Shout" (famously covered by The Beatles) and the Motown single, "This Old Heart of Mine (Is Weak for You)", and a brief tenure withJimi Hendrix as a background guitar player, the group settled on a brand of gritty soul and defined by theGrammy-winning smash "It's Your Thing", in 1969. After reforming the group as a six-member lineup in 1973 featuring younger brothers and Marvin and brother-in-law Chris Jasper, they became known to fans as 3 + 3 and chartedgold and platinum success with albums such as 3 + 3, The Heat Is On, Go For Your Guns and Between the Sheets, while charting a succession of hit singles such as "That Lady", "Fight the Power", "For the Love of You", "Don't Say Goodnight (It's Time For Love)" and "Between the Sheets", between 1973 and 1983. After the younger brothers splintered from the group in 1984, the remaining trio continued recording until Kelly's death from acancer-related heart attack in 1986. Rudy left the group for a career in the ministry in 1989 disbanding the group once again with Ron releasing solo records, sometimes performing under the Isley Brothers name. In 1991, Ron reformed the group with Ernie and Marvin returning to the lineup. Since 1997, after diabetes forced Marvin into retirement, the lineup has been Ron and Ernie, now on hiatus due to Ron's current prison sentence after atax evasion conviction in 2006. Much like The JB's, Parliament-Funkadelic, DeBarge and the Isleys are among one of the most sampled groups in hip-hop history with their recordings sampled by the likes of 2Pac, The Notorious B.I.G.,Bone Thugs-n-Harmony, and Snoop Dogg among others. After the death of younger brother Vernon, older brothers Kelly, Rudy and Ron were convinced by their parents to forge on with their singing group. Reforming in 1957, the brothers moved to New York and began recording secular music, basically in the doo-wop genre. 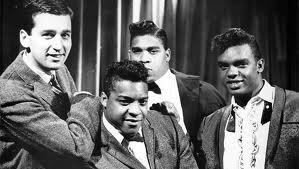 In 1959, RCA Records signed the group after catching them in concert where they had opened for R&B star Jackie Wilson. Their second release from the label, "Shout", became the group's first charted single, reaching number 47 on the Billboard Hot 100 though it failed to chart on the R&B chart. The single, written by the three brothers, was a modest single when the group released it but the song gained a mainstream following after cover versions by singers such as Lulu and Joey Dee and the Starlighters helped the song eventually sell over a million copies. Motivated by its success, RCA later re-released the group's original version in 1961 but the song only peaked at number 92. A follow-up success to "Shout!" never came and the group was released from their contract. 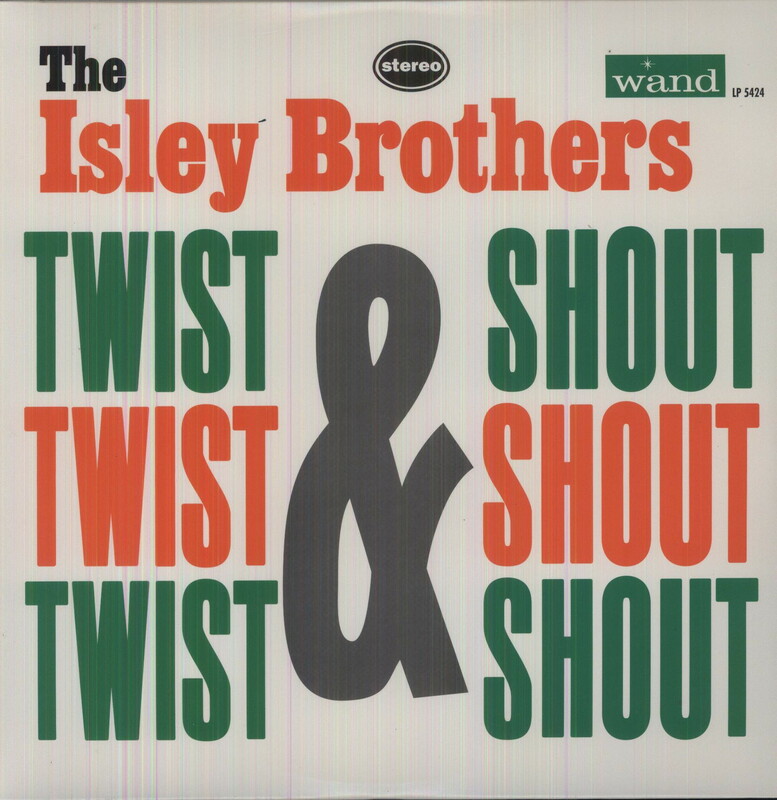 Signing with Wand Records in 1962, the group scored their first top forty single, "Twist & Shout", an uptempo rock single originally recorded in a calypso production by the Top Notes. 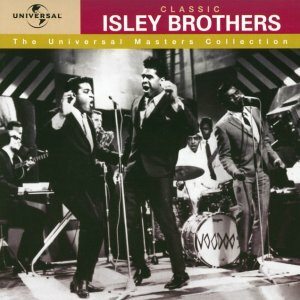 The Isleys' version, which had a more rock flavor, influenced many groups including The Beatles, who would record the single the following year finding huge success before the group moved on to record their own compositions. After several more releases, the group left Wand Records in 1964 and formed T-Neck Records after moving to New Jersey. 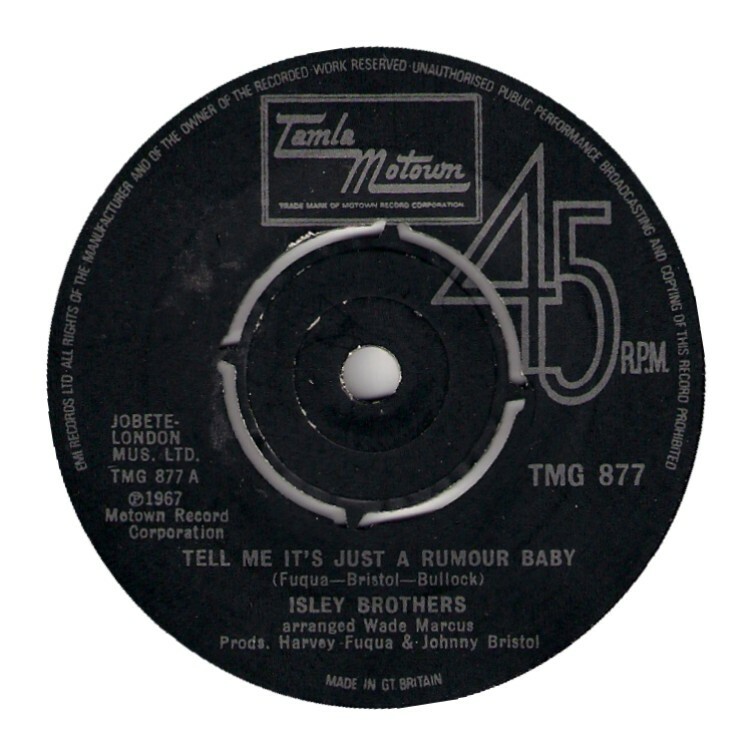 Finding only local success with the single "Testify", recorded with a young Jimi Hendrix on guitar, the group temporarily folded T-Neck and signed with Motown's Tamla imprint in 1965. 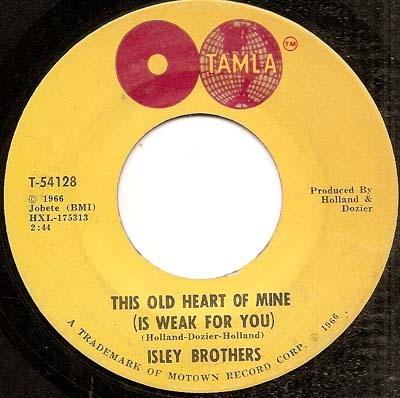 The following year's "This Old Heart of Mine (Is Weak for You)" gave the group their biggest success yet on the American Billboard chart reaching number twelve on the Hot 100 and number six R&B. 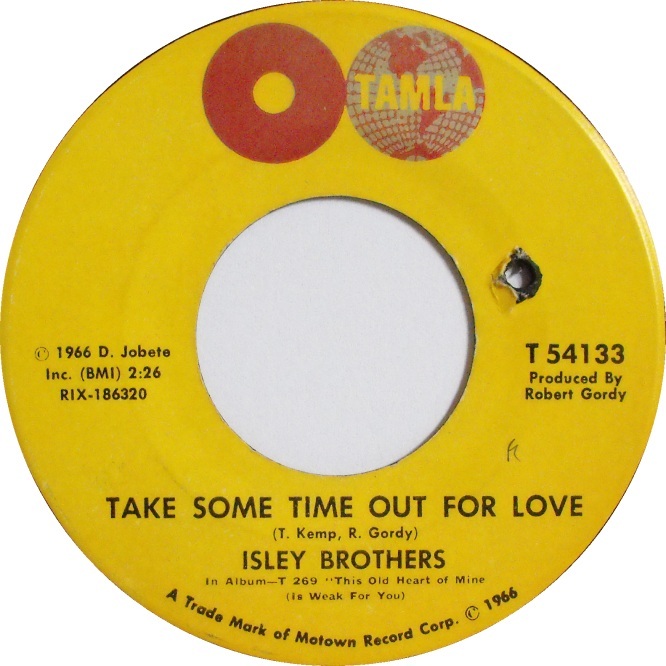 Much like their earlier tenures in other labels, the Isleys couldn't come up with a follow-up and complaining of being given "leftover tracks" from the label's staff songwriters such asSmokey Robinson and , they asked to be let go of their contract in 1968. 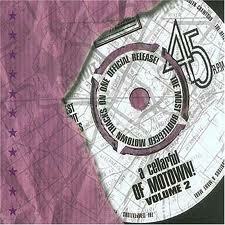 Upon separating from Motown, the group discovered that they had a huge following in England where three of their Motown singles had reached the top forty (among them included "This Old Heart", "Put Yourself in My Place" and "Behind a Painted Smile"). Touring in the UK that year, they returned to the US with a new image and sound. 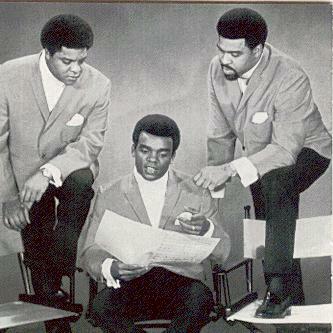 Signing with Buddah Records, the group recorded the gritty soul single, "It's Your Thing", a noted departure from their earlier recordings and showcasing a more independent sound in addition to featuring younger brother Ernie on bass, it was released under the group's revived T-Neck label and eventually rose to number 2 on the Billboard Hot 100 becoming their biggest charted success selling over a million copies and winning the group a Grammy Award for Best R&B Vocal Performance by a Duo or Group. The success of "It's Your Thing" reportedly irked Motown CEO Berry Gordy who had agreed to let the band leave Motown in 1968 and Gordy began making accusations that "It's Your Thing" was recorded while they were still in Motown, which the group denied. After several years, Gordy settled with the group out of court. 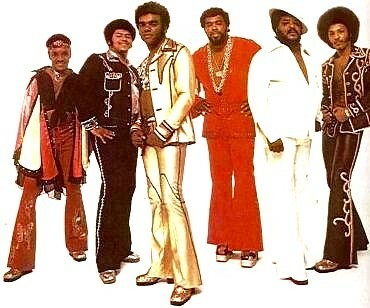 The group released a succession of seven albums for Buddah which ranged from uptempoJames Brown/Sly Stone-styled funk/soul and classic rock realized after the band released the covers album, Givin' It Back, which featured revisions of rock hits by WAR ("Spill the Wine") and Stephen Stills (their cover of "Love The One You're With" was a top forty hit for the group) and even their former band mate Jimi Hendrix ("Machine Gun"). After releasing the rock-tinged Brother, Brother, Brother and a live album, the group left Buddah after being offered a long term deal with by Clive Davis, then president of CBS Records. Before releasing their first Epic album, the Isleys reformed as a sextet with background band members and brothers Ernie and Marvin and brother-in-law Chris Jasper - Rudy Isley had married Chris' sister Elaine - being reassigned lead roles as the group's instrumentalists/writers. 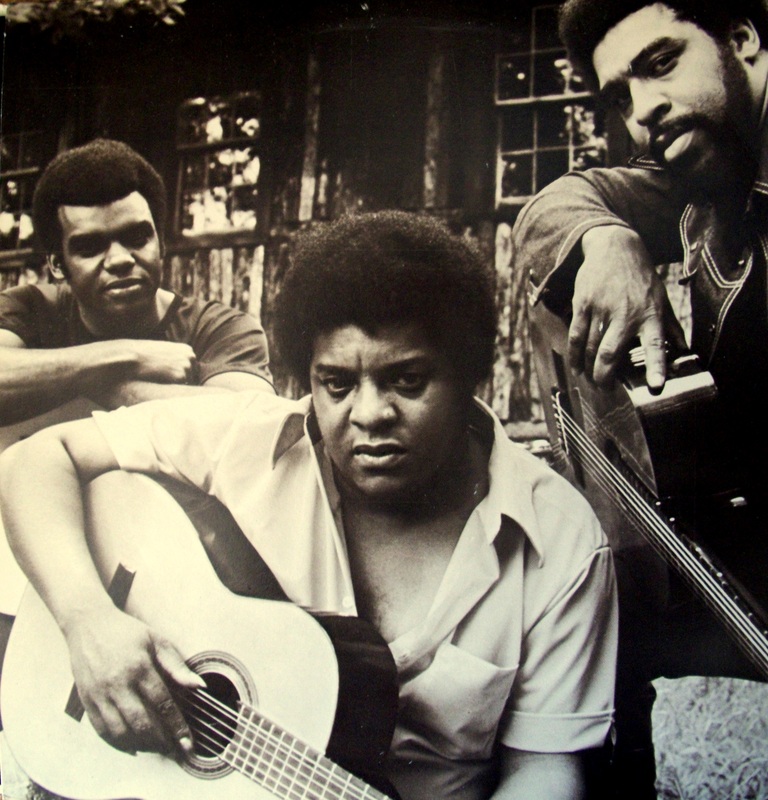 Their 1973 album, aptly titled 3 + 3, featured the crossover hit, "That Lady", and featured guitarist Ernie Isley in a memorable solo near the end of the song. The album later would be certified gold starting the group's most successful period. In 1975, the group hit number-one on the album chart with The Heat Is On, featuring the socially-conscious funk single, "Fight the Power", its title later interpolated by Public Enemy a decade later. Now notable for mixing funk singles with slower and sexier quiet storm singles, their second single from the album, "For the Love of You", showed the contrasts of sounds with Ron Isley taking on a more smoother tenor than in the early years of the group. The Isley Brothers' run of success would last well into the early eighties when their 1983 album, Between the Sheets, was issued featuring the "title track", later sampled famously by The Notorious B.I.G. Tensions within the group were occurring by this time with the two halves of the group arguing over musical direction. Chris Jasper later said the infighting with group members, and lead singer Ron Isley in particular, was so bad that he hasn't talked to some of the brothers after he, Marvin and Ernie left the group in 1984 to form Isley-Jasper-Isley. The 3 + 3 period is still considered by some as the most notable Isley Brothers era sandwiched between the group's earlier classic rock/soul period and the group's later tenure into smooth urban contemporary music. While the group members shared lyrical composition rights, it's noted most of the group's singles were musically constructed by Ernie, Marvin and Chris while allowing Kelly, Rudy and Ron to share credit easily splitting royalties with the members. In 1985, however, the brothers found themselves in trouble with the IRS for not paying back taxes and evading payments. 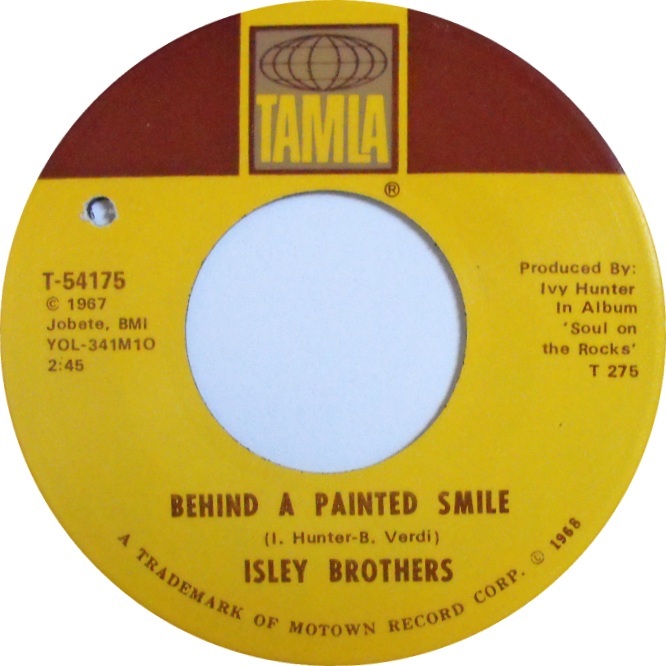 To settle, the group agreed to sell their label folding the company, though its imprint's logo would still be on Isley Brothers records. All of the group's T-Neck singles are in the control of Sony Music. Afterwards, the group left Epic forWarner Bros. Records. In 1985, Isley-Jasper-Isley scored their only big hit with "Caravan of Love", the song has sometimes been referred to as an "Isley Brothers song" even though it was released by three of the actual group's former members. The same year, the elder original members released Masterpiece, which featured a cover of Phil Collins' "If Leaving Me Is Easy". A year later, Kelly Isley succumbed after suffering a heart attack in his New Jersey home. He was 48. In 1987, Rudy and Ron dedicated the Angela Winbush-produced Smooth Sailin', in Kelly's memory. Nearly two years before the release of 1989's Spend the Night, also produced by Winbush, whom Ron married soon after, Rudy left the group to become a minister leaving Ron to carry on a solo career, where he found success duetting with Rod Stewart on a remake of "This Old Heart of Mine". 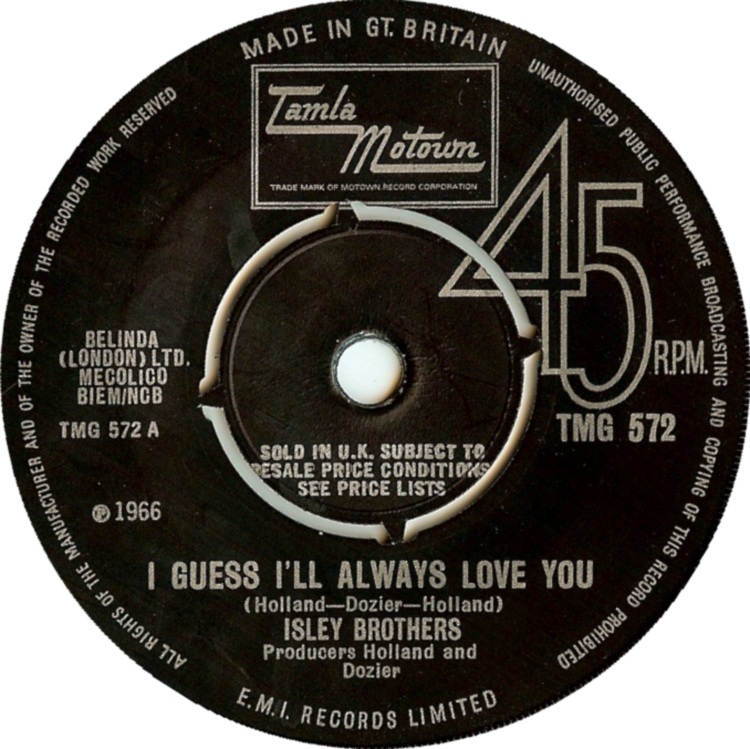 In 1991,Michael Bolton unsuccessfully tried to buy the Isley Brothers' catalogue after the Isleys won a lawsuit alleging that Bolton's song "Love Is a Wonderful Thing" plagiarized their 1966 Motown track of the same title. Around the same time, Ron reformed the Isley Brothers with Ernie and Marvin returning to the lineup to record the album, Tracks of Life, in 1992. That same year, the group was inducted to the Rock & Roll Hall of Fame. 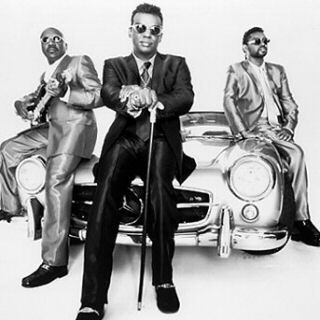 In 1996, the group released their first hit album in years with Mission to Please, boosted significantly because of lead singer Ron Isley's usic video character, "Mr. Biggs", created by frequent collaborator, hip-hop/R&B singer R. Kelly, who first used Isley in the 1996 single for his hit, "Down Low". The character would dominate much of the group's later recordings and helped to gain the group a brand new audience. The group - now enlisted of Ron and Ernie - would top that success with their biggest-selling release, 2001's Eternal, which featured their biggest hit single in over twenty years with "Contagious", a song written by Kelly who recorded it as Mr. Biggs' answer to "Down Low". 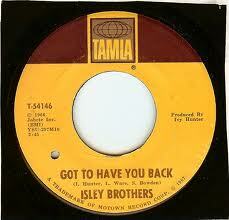 The single and its heavily rotated video returned the Isley Brothers to the top of the music chart. Eternal eventually sold more than two million copies. With "Contagious" and Eternal, they had become the only group to have a single and album chart in over five decades longer than any group in recording history (42 years). They stretched their streak with 2003's gold-certified Body Kiss, which was their first number-one charted album in nearly thirty years since The Heat Is On, and their first to debut at number-one, and which featured the top fifty single, "What Would You Do", and 2006's Baby Makin' Music, which peaked at number five on the Billboard 200. But the Isleys haven't been without struggle. In the years since their comeback to the music charts in 1996, Marvin Isley retired in 1997 due to a bout with diabetes which have since amputated both his legs. Rudolph "Rudy" Isley has had health problems over the years but has said his faith in God has kept him alive, he currently lives in California with Elaine Jasper Isley, his wife of over forty years. Chris Jasper has recorded sporadically over the years since the split of Isley-Jasper-Isley in 1988. Ernie Isley is currently working on his first solo album in nearly twenty years after the release of 1990's High Wire. 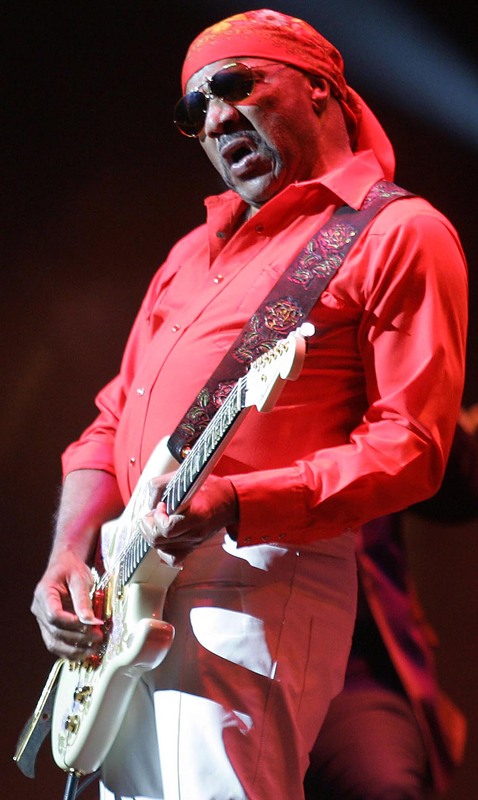 The most supported and famous of the group, Ron Isley, has also suffered hard times, recently convicted of tax evasion charges in 2006 after he was accused of not paying back taxes between 1997 and 2002, giving band mates cash rather than taking the money to cash a check, and using money from his late brother Kelly's estate to continue his "expensive lifestyle". After quietly divorcing Winbush in 2002, Ron married for a third time to his backup singer Kandy Johnson, formerly of the group JS, and became a father again in 2006. He also has a daughter from a previous marriage. In 2004, the singer suffered a mild stroke during a touring schedule in London. 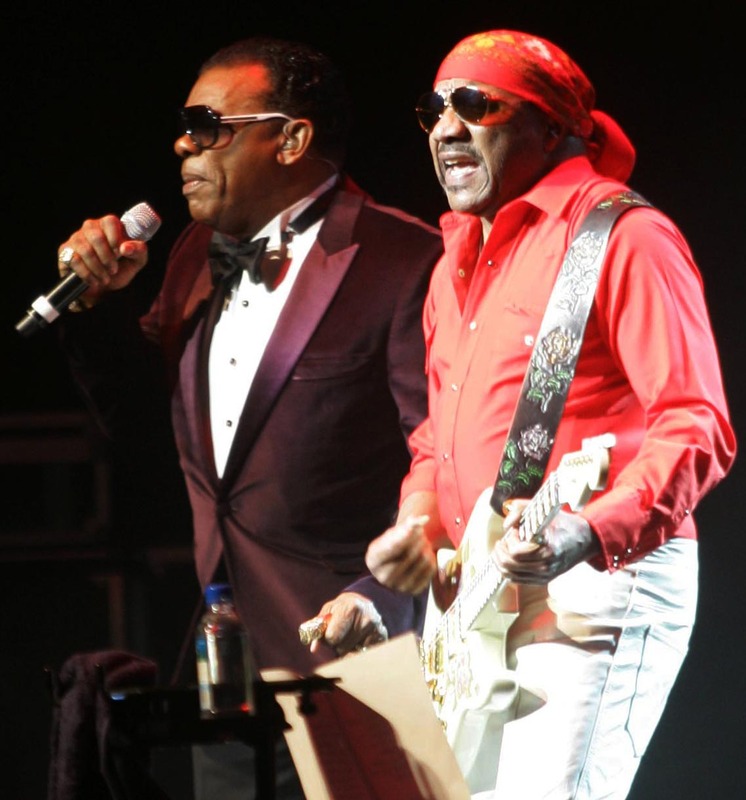 During his court case, it was revealed Isley, now 66, has kidney cancer and failing organs. 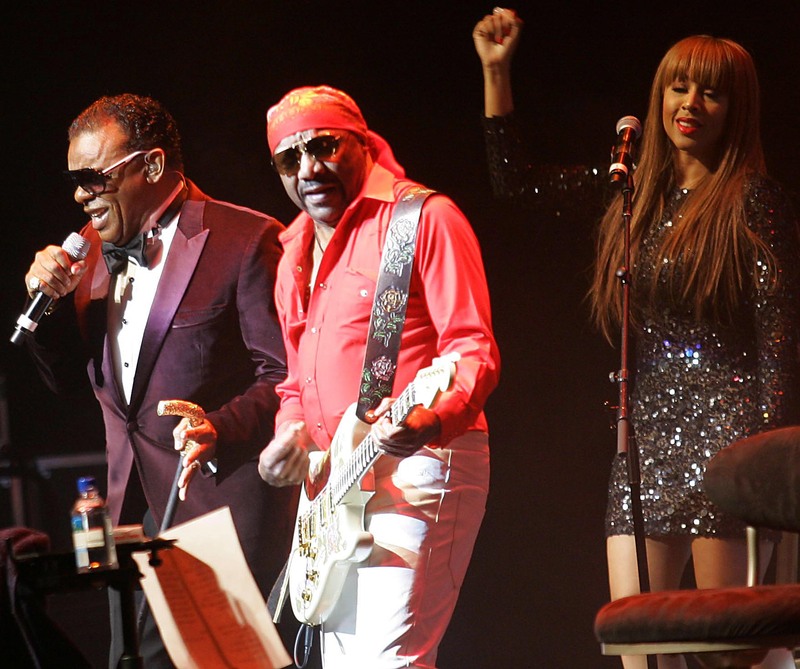 Isley's lawyers have tried pleading with the judge to give leniency to the singer, who was sentenced to serve 37 months (at least three years) in prison but have been denied. Isley is currently serving his sentence and will be released on a tentative date of April 2010. 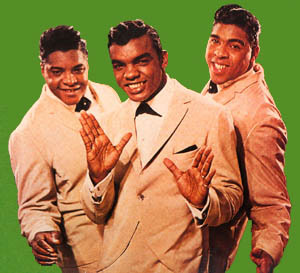 The Isley Brothers were inducted to the Vocal Group Hall of Fame in 2003. They released their first Christmas album last year on their second release with Island Def Jam.